Balancing relations between China and the United States is arguably Australia’s greatest foreign policy challenge in the 21st century. But is Australia getting it right? There has been much media attention and academic literature on the role of leaders and governments in Australia’s response to the rise of China. 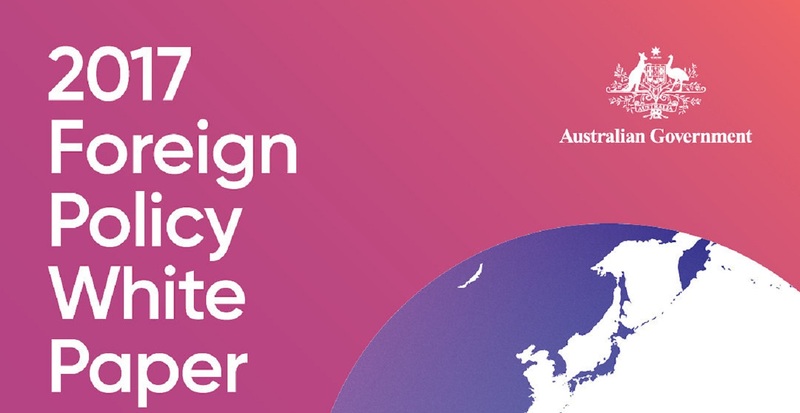 However, there is shockingly little research on the role of the Department of Foreign Affairs and Trade (DFAT). Yet if you take the academic literature on institutions seriously, DFAT must have an institutional culture that must in some way affect its behaviour. So, in my recent research thesis I asked the question, does DFAT have an institutional culture that affects its approach to China? A manifestation of this culture is the phrase “liberal rules-based international order” which has grown to reflect a geopolitical orientation. The phrase did not appear once in either the 1997 or the 2003 Foreign Policy White Papers, but appears 16 times in the 2017 paper. Previously, the “rules-based order” was defined as being intrinsically tied to the United Nations and international law; it was an ongoing project of norm-building. Now in Australia, talk has shifted to defending the existing order and it is difficult to find a policymaker using the term who does not mention the US alongside it. Interestingly, I could not find any criticism of US violations of the liberal rules-based order in DFAT’s language, despite, for example, the failure of the US to ratify either the Convention on the Law of the Sea or join the International Criminal Court. The US appears to be withdrawing from key elements of the so-called liberal rules-based order. Most recent, and most alarming for an open trading economy such as Australia, is the United States’ attack on the World Trade Organisation and increasing unilateralism and protectionism under President Trump. 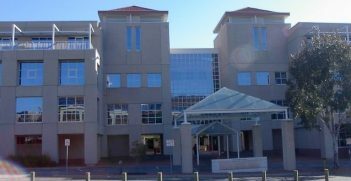 Here, Australia’s interests could be expected to be closer to those of China, but they are not discussed by DFAT as being distinct from a US-led international order. This indicates the alignment with the US is more geopolitical in nature than ideologically liberal or rules-based. First, the inclusion of the word “liberal” in the rhetoric on the rules-based international order suggests that this is directed at those who appear to oppose liberal values, particularly China. Usage of the term has recently spiked in response to China’s contested claims and island-building in the South China Sea, about which Australia has been the most rhetorically adversarial of all the United States’ allies. Third, the frequent use of the term “clear-eyed” in relation to China, meaning that DFAT is not going to be starry-eyed or look at China through rose-tinted glasses. This sort of language seems designed to appeal to hawks in the intelligence community who criticise DFAT for being too soft on China. Feeling pressured by this, DFAT approaches China with greater concern for security risks than economic opportunities. That is not to say there may not be real security concerns but that the engage-and-hedge strategy seems to result in a lot more hedging and not a lot of engaging these days. To drive further policy innovation, a culture of engagement and cross-cultural communication is needed in relation to China to complement rather than just parrot the US agenda. Australians should ask themselves the question, is DFAT acting in our national interests when it comes to China? And can we afford to get this wrong? Ciara Morris is a recent graduate of the University of Sydney with a Bachelor of Arts (Honours) in Government and International Relations and Chinese Studies. 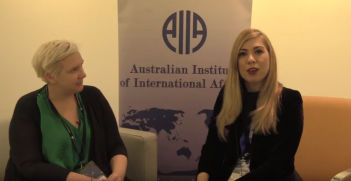 Ciara is currently director of publications for the Australia-China Youth Association and an intern at AIIA NSW.